Gerry Trehy has been active all his life, playing rugby and soccer in his younger years. 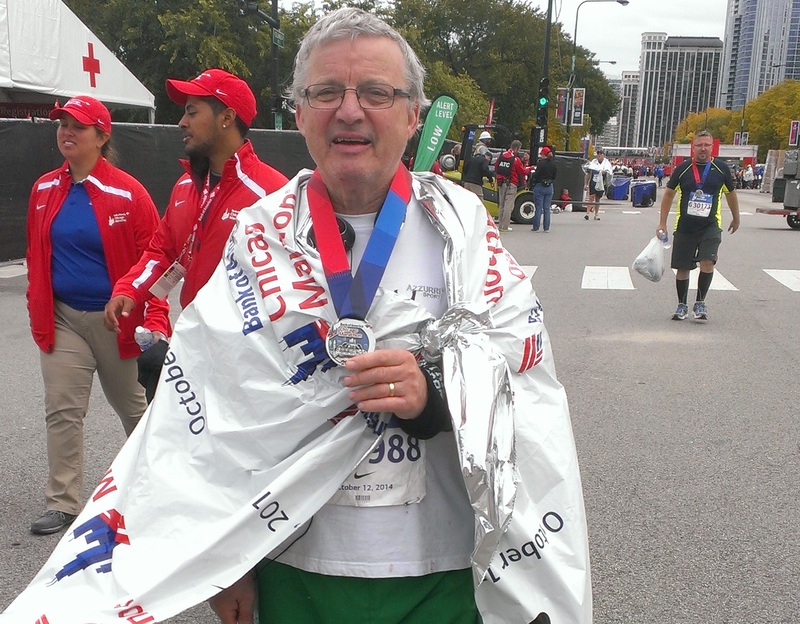 Now 73, he has just completed his first marathon and has even bigger plans for the year ahead, with some help from Foot Solutions. ‘I started out doing some walking and running to get myself in shape last year. I did a 5k in Limerick, followed by a 10k in Ennis and then the Great Limerick Run, which is a half marathon. My daughter is a police officer in Chicago and an avid marathon runner. She persuaded me to do the Chicago Marathon with her in October last year. I won’t tell you my time. You don’t ask a senior citizen what time they did in a marathon! But I participated and completed it, which was great. ‘It wasn’t all plain sailing though. I started experiencing pain in my metatarsal arch after the 10k run in Ennis, so I paid a visit to Foot Solutions on the recommendation of a friend. I bought a pair of off-the-shelf arch supports at first. They worked so well, that I went back and bought myself custom-made supports. They have completely removed any pain in my arch and allow me to keep on the move. I’m currently in training to do the Machu Picchu Inca Trail in Peru, walking 10k twice a week. I can transfer my Foot Solutions’ inserts to my walking shoes, so I’m still getting plenty use out of them.